In the wealthiest nation in the world, one in five children live in the shadow of hunger. In a new documentary produced documentary produced by Food Network, Hunger Hits Home, audiences will get a first-hand look at the crisis of childhood hunger in America through the eyes of the people on the frontlines of the battle. Hunger Hits Home examines the causes, complications and misconceptions about childhood hunger in the United States and offers a glimpse at some of the innovative solutions being put into practice today. Tune in to the Food Network on Saturday, April 14 at 7pm for this special presentation. For viewing guides, to donate, or information about other ways you can help, visit Food Network on the web and Twitter. 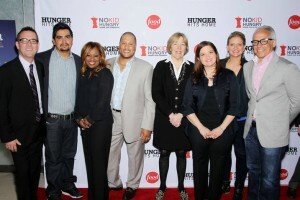 Ted Allen, Aarón Sanchez, Gina & Pat Neely, Brooke Johnson (President of Food Network), Alexandra Guarnaschelli, Amanda Freitag, Geoffrey Zakarian pose on the red carpet for the upcoming documentary "Hunger Hits Home" hosted by The Food Network at the Hearst Screening Room in New York on March 29, 2012. The film which premieres April 14th is part of The Foods Network's No Kid Hungry initiative in partnership with the Share Our Strength Foundation. Photo by Marion Curtis for Food Network. Narrated by Oscar®-winning actor and longtime anti-hunger activist Jeff Bridges, Hunger Hits Home is a heart-wrenching, yet empowering hour-long look at one of our nation’s little-known emergencies. An urgent call to action against this burgeoning crisis, the film is part of an ongoing partnership between Food Network and Share Our Strength, whose No Kid Hungry initiative aims to eradicate child hunger in America by surrounding children with nutritious food where they live, learn and play. Hunger Hits Home goes on a cross-country odyssey from urban Washington, D.C. and New York City, to suburban Virginia, and the prosperous Dallas-Fort Worth metroplex, giving viewers a bird’s-eye view of the hunger crisis through the lives of three hardworking families struggling to make ends meet. Food Network is a unique lifestyle media outlet distributed to more than 100 million U.S. households that connects viewers to the power and joy of food. The network strives to be viewers’ best friend in food and is committed to leading by teaching, inspiring and empowering through its talent and expertise. For more information, visit foodnetwork.com. Share Our Strength’s No Kid Hungry campaign is ending childhood hunger in America by connecting kids to the healthy food they need, every day. 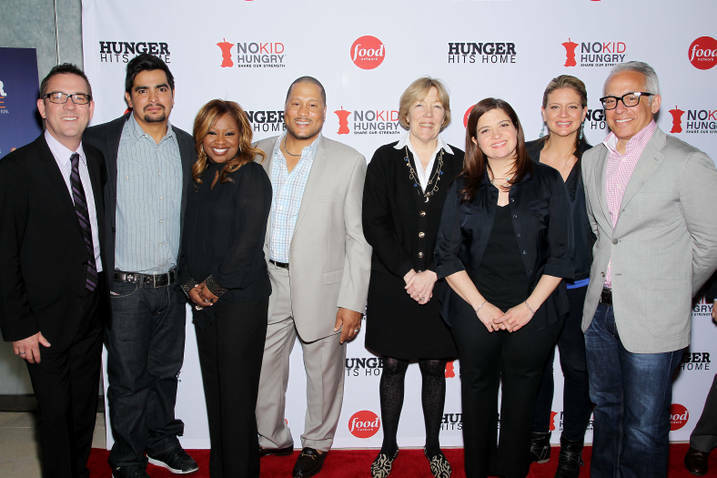 The No Kid Hungry campaign brings together public/private partnerships of political leaders, educators, corporations, chefs, parents, caretakers, faith leaders, anti-hunger activists, and others with strengths to share to end childhood hunger. For more information on the No Kid Hungry strategy to ensure kids have access to healthy food where they live, learn and play, visit NoKidHungry.org.